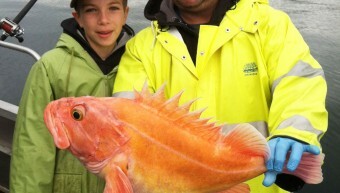 Minnesota Family Scores Reef Fish Grand Slam! 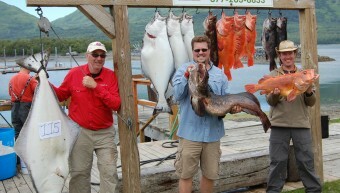 New King Salmon Lodge Record ! 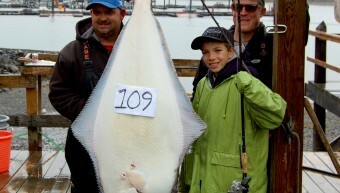 June 24, 2014 – Two lodge records were established yesterday on Captain Joe’s 37th birthday. 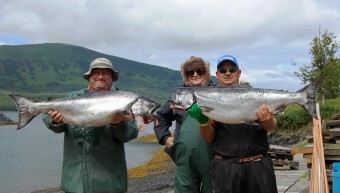 Victor Harten from Azle Texas boated a 37 pound king salmon to set the lodge record for biggest king ever taken by a lodge guest. 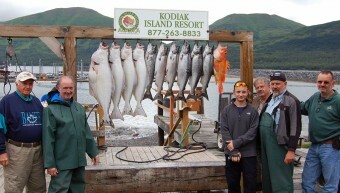 Kodiak Brown Bear viewing is awesome! 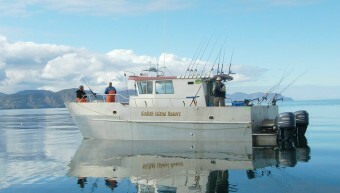 The Ultimate Alaska Fishing Machine!! 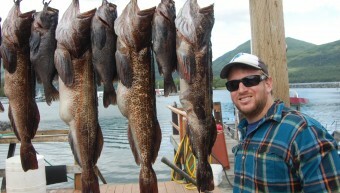 Fantastic Kodiak Island Ling Cod Fishing! 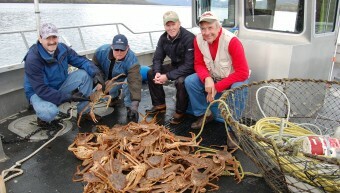 Fantastic Alaska Crabbing at Kodiak Island Resort!